press room Across Systems - good news! Karlsbad. 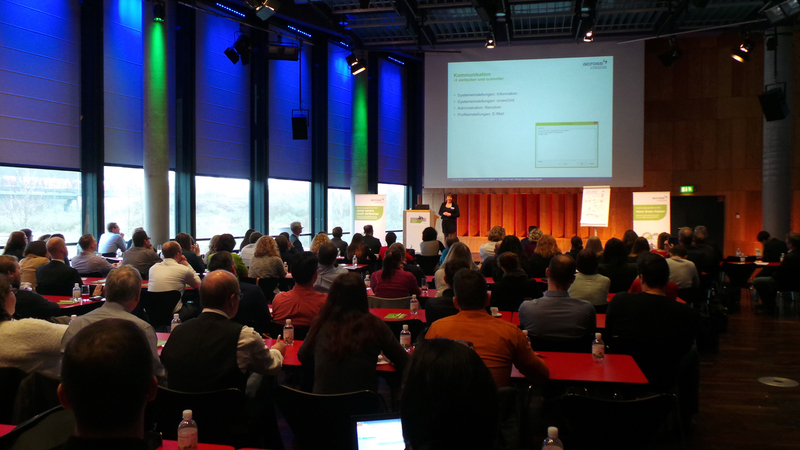 Across Systems GmbH reports record attendance figures for its recent conferences. About 300 customers and friends from 20 countries came to Cologne, Germany, mainly to get information on version 7 of the Across Language Server. While the Across LSP Day addressed language service providers, the Across User Conference was designed for industrial enterprises. Karlsbad. Following up on the successful realignment of its classroom training program in 2018, Across Systems GmbH will continue its training program in 2019. In a small group setting, four modules convey everything the participants need to know for their work with the Across Language Server on four days. The content has been adapted to version 7 of the translation management software, enabling language service providers to get certified for the new release. Karlsbad. Across Systems GmbH has released version 7 of its translation management software Across Language Server. Under the motto "Speed up your translation processes", the main benefits of the new major release include optimized translation processes and seamless connection of third-party machine translation systems. Karlsbad. Across Systems GmbH is pleased with the collaboration with its user group. The user group was formed about a year ago for the purpose of enabling users to actively participate in designing the Across technology. After evaluation by the product management, many of the ideas that the group comes up with are taken into consideration in the further development of the Across Language Server and of the Across Translator Edition. Some of the suggestions have already become part of version 7 of the translation management software of Across Systems GmbH, which will soon be available. Karlsbad/Stuttgart. Visitors to this year's tekom annual conference can look forward to a product premiere at the booth of Across Systems GmbH (2/B069): The manufacturer will present v7 of its translation management software Across Language Server. The new version will be available from January 2019. Among other things, it will facilitate the integration of machine translation systems and come with a new interactive module that will help users to assess and optimize the quality of their translations even faster. Karlsbad. Across Systems GmbH has published a new white paper entitled "The Right Translation—A Critical Success Factor in E-Commerce". In this white paper, the manufacturer of the Across Language Server, a leading software platform for language resources and translation processes, provides valuable information on how online dealers can successfully enter new markets. Karlsbad / Cologne. This year was the first time that Across Systems GmbH participated in the DMEXCO in Cologne, Germany, under the motto "Make your global customer journey a local experience". Together with the language service provider Welocalize, the software provider showed how enterprises can generate multilingual marketing content more efficiently. Across Systems and Welocalize were able to expand their networks and gain new insight on trends and challenges in the field of digital marketing. Karlsbad. In response to the growing demand by translators, Across Systems GmbH now also offers online training for users of the Across Translator Edition. The first sessions will especially assist translators in getting started with the CAT tool. Further training offers for more experienced Across translators are already in the pipeline. Karlsbad. Two additional language service providers have recently qualified for the "Across Certified" label: NGN Istanbul Translation and D.O.G GmbH. With this certification, the two companies furnish evidence of their comprehensive tool competencies, which enable them to make full use of the potential of the Across Language Server. The total number of language service providers certified by Across Systems GmbH has thus reached 39. Karlsbad. With immediate effect, Janus Worldwide, a leading provider of translation and localization services, has been appointed exclusive distributor of Across Systems GmbH for Russia, Ukraine, and Kazakhstan. Enterprises based in these countries thus have a competent partner for all subjects associated with the deployment of the Across Language Server in their immediate vicinity. Karlsbad. Across Systems GmbH has integrated the DeepL Pro machine translation system in its Across Language Server. 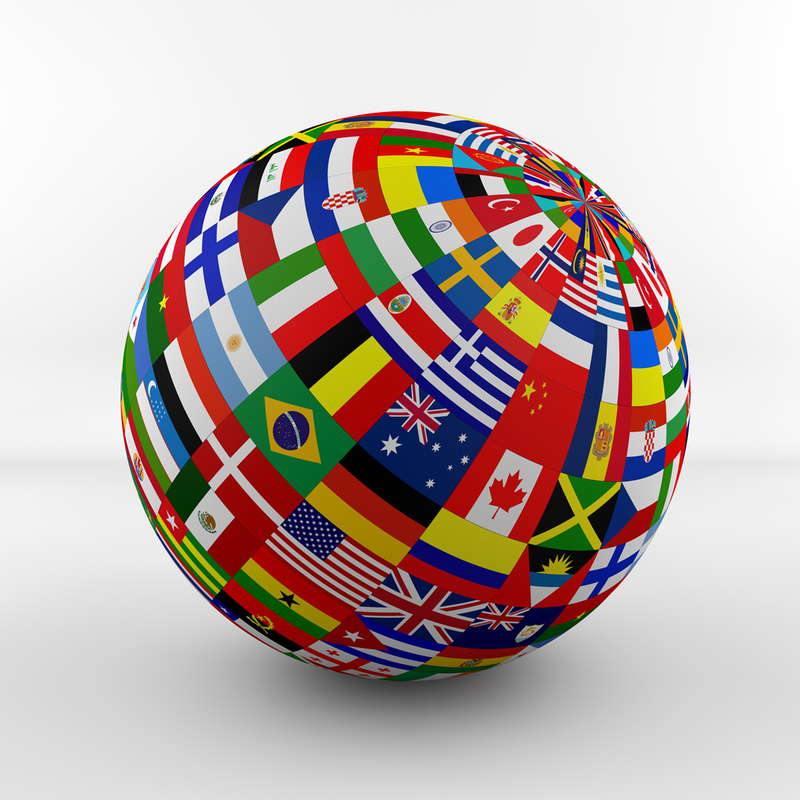 Users benefit from high-quality translations that the DeepL server makes available speedily. Karlsbad. On March 20, 2018, Anja Bergemann was appointed Team Leader Marketing at Across Systems GmbH. She is thus responsible for the software manufacturer's marketing activities in the Across technology unit. The online platform crossMarket has been carved out as a separate business unit with dedicated marketing. Karlsbad. In mid-March, Across Systems GmbH established a separate business unit for its online platform crossMarket. Apart from translation technology, this area is a key pillar for the company's future success. Tanja Wendling, formerly Head of Marketing at Across Systems, has taken over the responsibility for the new business unit. Karlsbad. 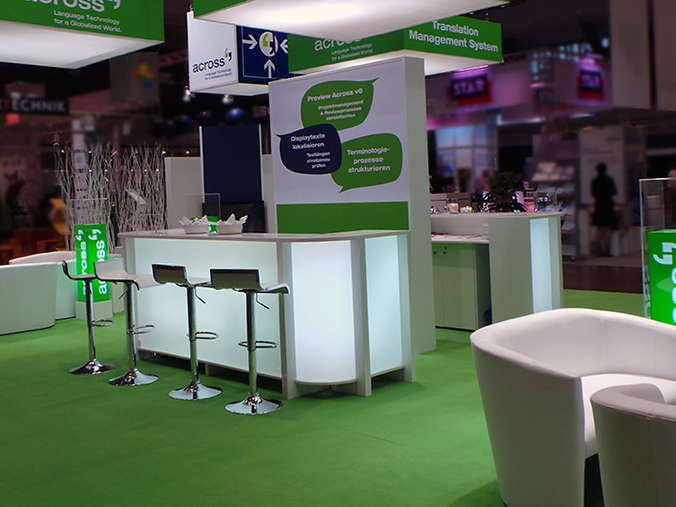 Once a year, Across-Systems GmbH invites customers and others who are interested in its translation management system for two large conferences in Cologne, Germany. This year, both the LSP Day for translation service providers on March 7 as well as the Across user conference for industrial enterprises on March 8 attracted more visitors than ever. The rich, interesting agenda was doubtlessly one of the main reasons for the high attendance numbers. Karlsbad. As of the start of 2018, Across Systems GmbH has revised its training concept. In this way, the provider of the translation management software Across Language Server promotes the collaboration between customers and providers. To achieve this, the company has consolidated the training offering for the two target groups in a joint classroom training concept, thereby enabling both parties to gain a deeper understanding of the processes of their counterpart. Karlsbad. By investing just a little time, translators and interpreters can set up a profile in crossMarket, the online network of Across Systems GmbH, and gain new customers. Karlsbad. The Across Language Server – the translation management software of Across Systems GmbH – now supports the Common Translation Interface (COTI). Companies can thus benefit from seamless data exchange between the worlds of content creation and translation. This greatly facilitates the work of writers who create and maintain texts in multiple languages, as they can access translations directly in their work environment. Karlsbad. Under the title "Teatime with the Across Translator Edition", Across Systems GmbH will hold its first event in the UK. The event for freelance translators will take place on March 9, 2018 in the Queen Elizabeth II Centre in London. Attendees will receive comprehensive information on the possibilities and benefits of CAT (computer-aided translation) tools. Furthermore, Across trainer Julia Likutschewa will show how translators can reduce their workload with the help of the free Across Translator Edition. A special highlight: the keynote of translator Henk Epskamp, also known as actor Dr. Harry. Karlsbad. 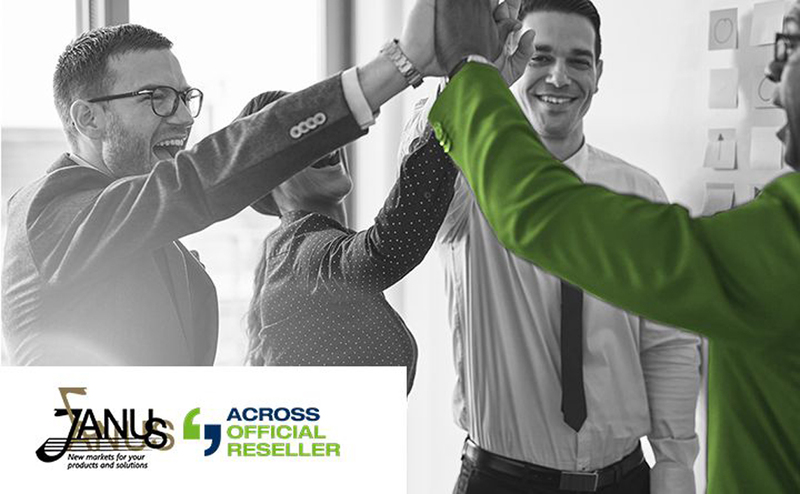 On January 1, 2018, Across Systems GmbH will open its crossMarket online portal. With the opening, all freelance translators, language service providers and industry companies can register, regardless of which translation software they are using. This way, all three expert groups will have the opportunity to find translation partners, projects and clients. Currently, there are already 13,000 members from more than 98 countries registered on crossMarket. Karlsbad. On March 7, 2018, Across Systems GmbH will again hold its annual LSP Day in Cologne, Germany. At the event, translators and language service providers will be provided with comprehensive information on how they can optimize their processes with the Across Language Server. Apart from the speeches, the agenda will, for the first time, include technology sessions that give the participants a profound insight into the Across solutions. An exclusively preview of the upcoming version 7 of the Across Language Server will be one of the event highlights. The program will also feature user presentations of language service providers as well as expert and partner speeches. Karlsbad. The network of translation service providers certified by Across Systems GmbH is growing. 1-StopAsia is the first Asian translation agency to qualify for the "Across Certified" label. The specialist for Asian languages recently completed the entire Across certification for the current version 6.3, which comprises the Project Management, Terminology, Translation, and System Management modules. Thus, 1-StopAsia is well equipped to effectively use the full potential of the Across Language Server. Karlsbad. Wilfried Buß of ALDI International Services GmbH & Co. oHG and Laura Beverungen of neo communication ag are the spokespersons of the newly founded Across user group. Currently, the group has more than 30 members, including representatives of industrial enterprises and language service providers as well as freelance translators who have long-standing experience with the Across Language Server and the Across Translator Edition. Karlsbad. "We complement each other." This is what Across Systems GmbH says about this year's tekom annual conference, which was recently held in Stuttgart, Germany. The manufacturer of the translation management software Across Language Server participated in the industry event both as an exhibitor and with presentations on the conference program. Many visited the Across Systems exhibition booth, and the conference presentations were booked out. Karlsbad. In its online network crossMarket, Across Systems brings together translators, language service providers, and translation customers. The new job board helps to make the search for translation partners even more efficient. From 0 to 10,000: crossMarket Online Network Growing! Karlsbad. In late 2015, Across Systems went online with its crossMarket network for the translation and localization industry. Since then, the number of members has grown continually, surpassing the mark of 10,000 in May. Read more … From 0 to 10,000: crossMarket Online Network Growing! Karlsbad. 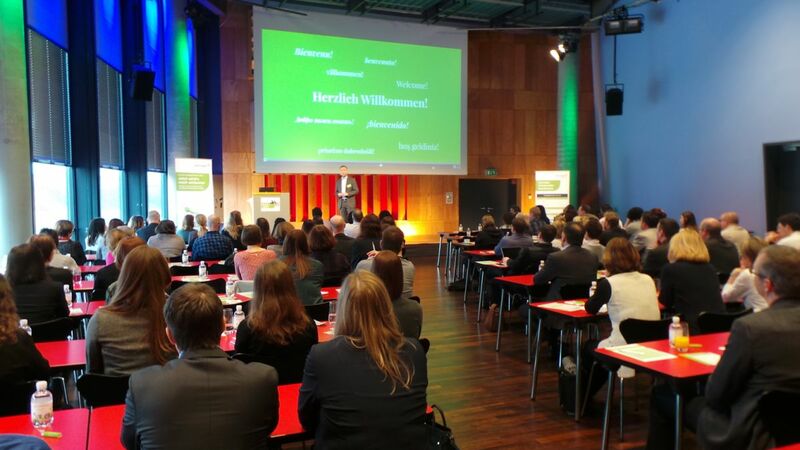 On March 8 and 9, Across Systems GmbH again held its annual conferences at the KOMED MediaPark in Cologne, Germany. Apart from a preview of the development of the Across Language Server, the conferences focused on the exchange of knowledge and experience. The keynote by Star Trek expert Dr. Hubert Zitt was a special highlight for technology fans. Karlsbad/Berlin. Translators and language service providers from the world over recently met at the Elia Together in Berlin, Germany. Across Systems, manufacturer of a translation management system, was one of the exhibitors. At the stand, the company especially drew attention to the online network crossMarket, on which Across users can find each other for collaboration and exchange purposes. Karlsbad. This year, Across Systems GmbH will again participate in the tekom annual conference, one of the largest events in the field of technical communication. From November 8 to 10, the software manufacturer will showcase the latest version of the Across Language Server in the International Congress Center Stuttgart (ICS). Moreover, visitors will have the opportunity to test Across solutions directly at the fair booth. Further highlights include a Partner Rally and the Across Lounge in Hall 1. Karlsbad. As of August 15, 2016, Gerd Janiszewski (aged 47) will take over the role of the CEO of Across Systems GmbH in Karlsbad, Germany. 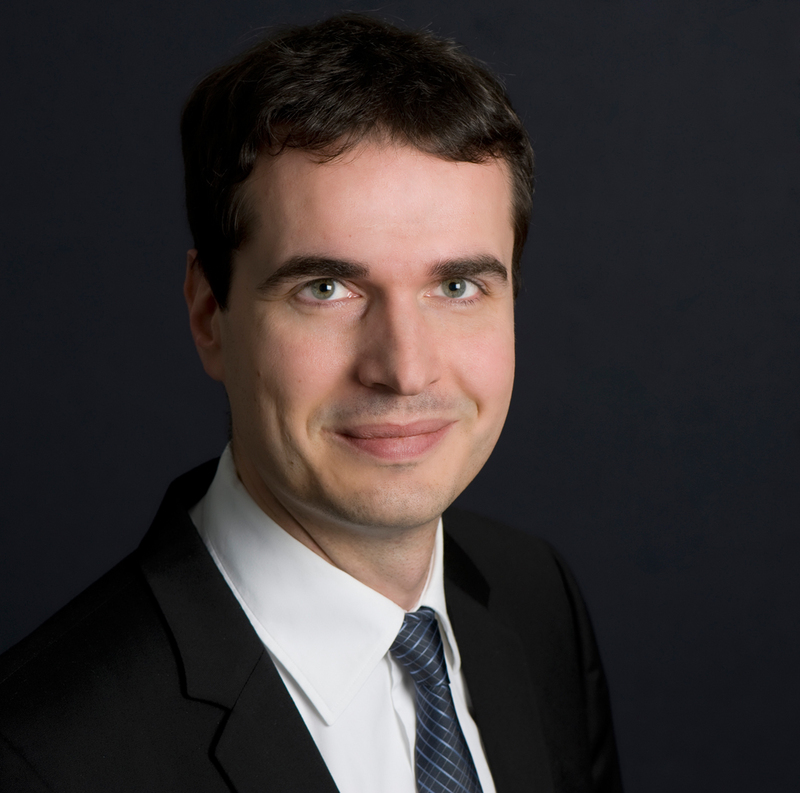 Janiszewski is the successor to Niko Henschen, who will move on to new projects outside the company. Niko Henschen worked for Across Systems for more than 10 years. During this time, he developed the enterprise into one of the world's leading providers of language technology. Karlsbad. From June 8 to 10, 2016, Across Systems GmbH will participate in the LocWorld in Dublin, Ireland. At the leading conference on international product and business corporation, the manufacturer of the Across Language Server and its technology partner CAPITA will present the jointly developed interface for the integration of machine translation in the translation management System. Karlsbad. In early March, Across Systems GmbH hosted two events in Cologne, Germany: The software manufacturer held the LSP Day for language service providers on March 2 and the user conference for industrial enterprises on the following day. Thanks to the large number of participants, a colorful program, and the attractive new location, both events were highly successful. Guests from more than 20 countries came for the LSP Day. Karlsbad. From March 1, 2016, Sergey Dubrovskiy will be responsible for the product development at Across Systems GmbH as the new Head of Development. He will take over this task from Stefan Kreckwitz, who will assume his new responsibilities as CEO of the Across subsidiary Congree Language Technologies GmbH as of March 1. Karlsbad. Across Systems GmbH is looking back on an eventful year. In 2015, the software manufacturer mainly focused on the development of the new online network crossMarket and the new Across version 6.3. Other highlights included the establishment of the Translators' Advisory Board, new training concepts, and the participation in numerous international events. Karlsbad. The new Across Translator Edition was launched in late November. Now, the new Across version 6.3 is also available for enterprises and translation service providers. The further development of the Across Language Server mainly focused on openness, networking, and growth. Karlsbad. The Across Translator Edition is the next generation of the Across Personal Edition, which it replaces starting from Across version 6.3. In close collaboration with its Translators' Advisory Board, Across Systems GmbH has introduced many new functions and optimized the translation environment. The Basic and Premium Editions of the new version for freelance translators are available in a bundle that includes a crossMarket account. Karlsbad. crossMarket is the new online network for Across users in which customers, language service providers, and translators can find each other easily. Across Systems GmbH thus enables its users to present themselves in a professional environment and find new customers or translation providers with Across expertise. Karlsbad. From November 10 to 12, 2015, technical communication experts will again converge on the International Congress Center Stuttgart (ICS). Across Systems GmbH will also be present at the tekom annual conference with a team of experts. At Booth B06 in Hall C2, visitors will get a first glimpse of Across v6.3 and various other new features in the product offer of Across. Karlsbad. Since mid-2013, Across Systems GmbH has offered a certification program especially designed for language service providers. Through its successful participation, EHLION Language Consultancy LLC has become the 30th recipient of the software manufacturer's "Across Certified" label. Karlsbad. Across Systems GmbH, the manufacturer of leading computer-aided translation solutions, has relaunched its website for translators. A fresh design and a user-friendly structure are to facilitate the search for information. Karlsbad. By means of its new dynamic interface, Plunet has integrated key functions of the Across Language Server in the Plunet BusinessManager. In this way, translation departments and language service providers can control and automate their translation processes even more efficiently. Karlsbad. 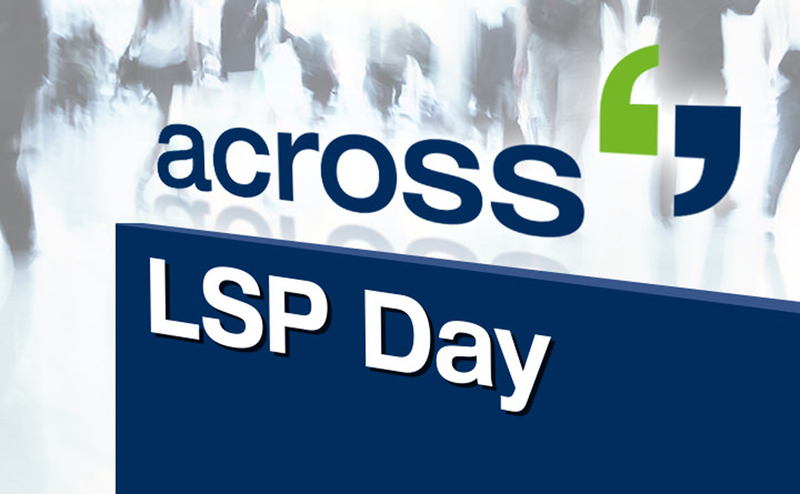 This year's Across LSP Day was held on May 8 in Frankfurt, Germany. 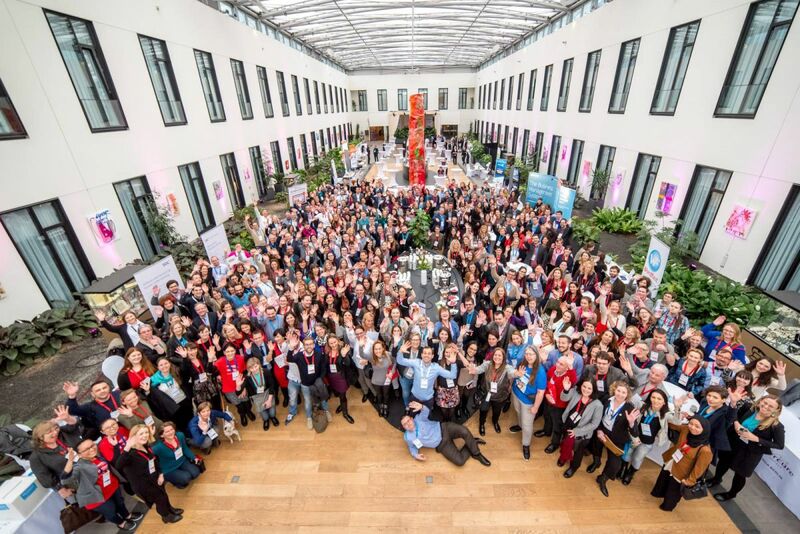 Participants from 20 countries accepted the invitation of Across Systems GmbH to attend the international conference for language service providers. With their presentations, guest speakers from the industry stimulated lively discussions. The future of translation management systems and of the translation market was one the main subjects focused on. Karlsbad. Adobe, FCT, and Across are looking back on the first successful TechComm. The companies had extended the invitation for this expert forum on the eve of the tekom spring conference on April 22, 2015 in Darmstadt, Germany. In view of the positive response of the approximately 50 participants, most of whom were technical writers, similar events are being planned in other cities. Karlsbad. Computer-aided translations with the help of translation memory technology deliver numerous advantages. Nevertheless, many enterprises have not yet or only partially come in touch with such systems. For this reason, they are often still unaware of the functions and actual savings potential. In a white paper, Across Systems, manufacturer of the Across Language Server, explains the basic modes of operation and central modules of translation management systems (TMS). Karlsbad. Across Systems GmbH, manufacturer of a leading translation management system, achieved many milestones in 2014. One of these is version 6 of the Across Language Server, which has already been installed at numerous customers. In 2015, Across Systems GmbH will focus primarily on the needs of translators. Closer collaboration with users is to contribute to user-oriented product optimization. Karlsbad. Across Systems GmbH, the manufacturer of a leading application for computer-aided translation (CAT), announced today that they have launched the Translators’ Advisory Board. During a technology roundtable held last year, Across had significant success collaborating with translators to better understand their challenges. As a result of these discussions, the Translators’ Advisory Broad was established to create a setting for ongoing dialog. Karlsbad. Two more language service providers have been certified for the latest version of the Across Language Server: Merrill Brink and Schmieder Übersetzungen. In a special training program for language service providers, which is conducted directly by Across, the manufacturer of the translation management system, users are provided with comprehensive application knowledge. Karlsbad. With about 4,000 conference participants and visitors, the tekom annual conference 2014 again served as a key industry hub for technical writers, information developers, and marketing managers from industrial, software, and service enterprises. From November 11 to 13, Across Systems GmbH was present at the International Congress Center in Stuttgart, Germany, with a motivated team and numerous highlights. Karlsbad. With the latest version of its translation management system, Across Systems GmbH features a special component for decision makers on the basis of business intelligence (BI) concepts. The Across Data Cube enables the examination of corporate translation processes and creation of individual reports and indicators directly from within Microsoft Excel. Karlsbad. 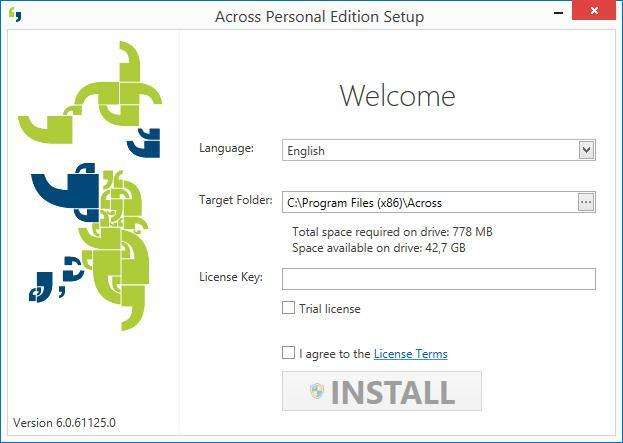 Across Systems GmbH has greatly simplified the installer for the Personal Edition. The same file can be used both for the new installation and for the update to the current Across version 6. The installation is easy and intuitive and merely requires a few clicks. Karlsbad. Quark Software Inc., a leading provider of dynamic publishing solutions, develops enterprise software that combines the strengths of XML with a flexible layout and automated multi-channel output. The interface to the Across Language Server gives users additional possibilities to boost the efficiency of their authoring processes. 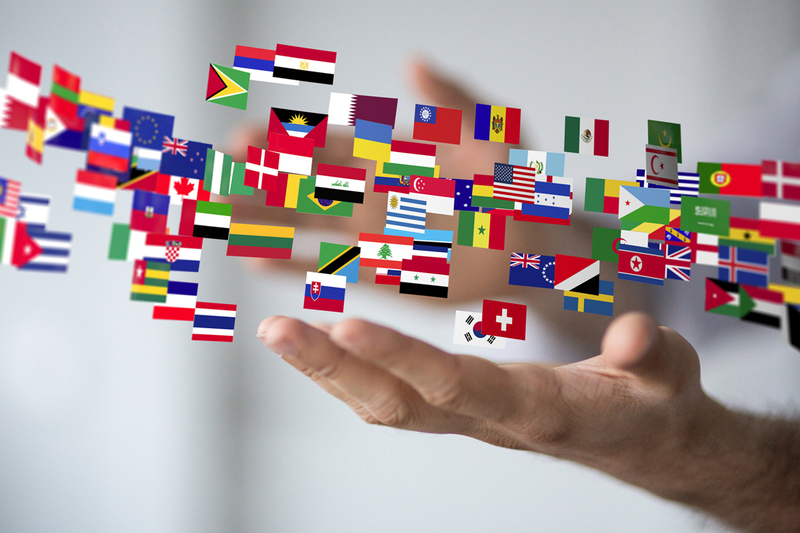 Integrated translation workflows and seamless connection of translation management functions can accelerate the provision of documents in several languages. At this year's tekom annual conference from November 11 to 13 in Stuttgart, Germany, Quark will present the integration with the Across Language Server live at the exhibition booth of Across Systems (2/B06). Karlsbad. From November 11 to 13, technical documentation specialists will come together at the tekom annual conference. In 2014, the industry event – for which about 4,000 visitors are expected – will be held at the International Congress Center Stuttgart (ICS) for the first time. Apart from the exciting conference program, the accompanying exhibition will feature the latest developments and industry trends. 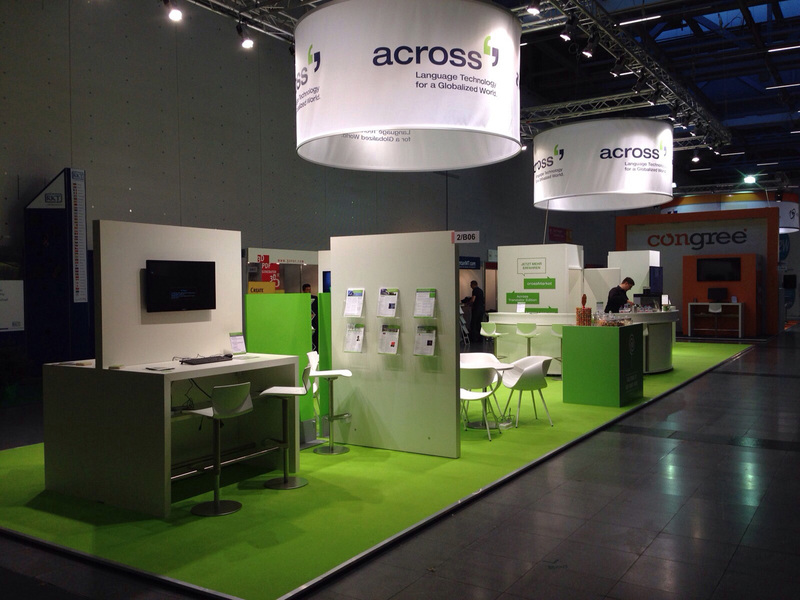 At booth 2/B06, Across Systems GmbH will present the latest version 6 of the Across Language Server. Karlsbad. As one of the first tool providers in the field of CAT (computer-aided translation), Across Systems GmbH has participated in an open discussion with translators. On August 27, 2014, the software manufacturer invited translators for a technology round table in Karlsruhe, Germany. The workshop focused specifically on the optimization of the translator-oriented Across Personal Edition. Karlsbad. Across Systems GmbH, manufacturer of a leading translation management system, will participate in this year's Brand2Global Conference in London, UK, on October 1 and 2, 2014 as sponsor and lecturer. The event mainly addresses international marketing executives and focuses on the challenges in the global business. Karlsbad. From August 4 to 6, 2014, translators, interpreters, and terminologists from more than 70 countries came together for the world congress of the International Federation of Translators (FIT) in Berlin, Germany. Under the motto, "Man vs. Machine", the opportunities and risks of machine translation (MT) and computer-aided translation (CAT) were discussed in numerous lectures and workshops. Across Systems, manufacturer of a leading translation management system, had its own booth at the accompanying trade exhibition and participated in the lecture program. Karlsbad. Based on the technical improvements of the current version 6 of its translation management system, Across Systems GmbH plans to focus on the translation environment in the development of the successor version. To accommodate the requirements and experiences of users even more effectively, a technology round table will be held for the first time on August 27, 2014, allowing experienced translators to discuss possible and necessary further developments with the Across team. Karlsbad. Shortly after the release of the latest version of the Across Language Server, Across Systems GmbH publishes a fully revised website. Like the translation management system, the revised website also reflects the software manufacturer's user-oriented strategy. The clear, modern design and fully revised content structure are to facilitate the navigation and retrieval of information. Karlsbad. Across Systems GmbH held its yearly LSP Day. More than 80 participants from 16 countries attended the first international Across user conference for translation companies. At the conference, specialized lectures mainly conveyed practical knowledge in connection with the use of the translation management system. A special highlight was the presentation of Across Language Server version 6 with its new functions and extensions. Karlsbad. Berlin-based text & form and Ghent-based Yamagata Europe have furnished evidence of their Across competence and have qualified for the "Across Certified" label. Since the start of the certification program, 16 language service providers have already successfully completed the one-week training in the fields of project management, terminology work, translation, and system management in the Across translation management system. Karlsbad. Under the motto "Disruptive Innovation", about 600 decision makers, communication managers, language service providers, and technology providers assembled in Dublin, Ireland, from June 4 to 6, 2014. Across Systems GmbH was also present, making use of the leading conference with its focus on international product and enterprise communication for intensive dialog with other participants. Karlsbad. Across Systems GmbH has published a white paper with recommendations on how enterprises can step up the information security in translation processes. In this way, the manufacturer of the translation management system Across Language Server wants to heighten the awareness of the risks in translation projects. Karlsbad. On May 6, Across Systems GmbH invited customers and other interested persons to its seventh user conference. Apart from various specialized lectures and workshops, the presentation of the Across Language Server v6 was met with enthusiasm. The new version of the translation management system will be available from the end of June. Another highlight was the live feature voting, in which conference participants had the opportunity to vote on future extensions in Across. Language Service Providers oneword and globaldocs: "Across Certified"
Karlsbad. Two more companies have joined the ranks of language service providers certified by Across Systems: oneword GmbH and globaldocs GmbH. Both companies have successfully completed the one-week training, thereby qualifying for the "Across Certified" label. Read more … Language Service Providers oneword and globaldocs: "Across Certified"
Karlsbad. JABA-Translations, based in Portugal and Spain, makes use of the LSP Edition of the Across Language Server, which is tuned to the needs of language service providers, for smooth customer communication and efficient project coordination. As one of the first users ever, the company has enjoyed a close partnership with Across for several years. Karlsbad. On its website, Across Systems has published a topical white paper on the subject of effects of official regulation on medical technology documentation. The white paper summarizes the changes of the new Medical Devices Regulation and shows how companies can tune their workflows to future regulations. Karlsbad. The certification program of Across Systems GmbH for language service providers is moving on in 2014. Thus, the beginning of the year has already seen three companies – nlg GmbH, JABA-Translations, and itl AG – successfully complete the one-week training, thereby qualifying for the "Across Certified" label. Karlsbad. Looking back on a successful financial year, Across Systems has set the course for stepping up its international activities. In 2013, the manufacturer of a leading translation management system achieved important milestones such as the development of new functions and an even closer collaboration with language service providers. Karlsbad. Since July 2013, Across Systems GmbH, the manufacturer of the Across Language Server, has offered an extensive training program for language service providers. Meanwhile, eight companies have already qualified for the "Across Certified" label, including global LSP, Welocalize, the first English-speaking language service provider. Moreover, gds-Sprachenwelt, tsd Technik-Sprachendienst, and CLS 4-Text have successfully completed this year's last training week, obtaining the Across certification. Karlsbad. Across Systems, manufacturer of a leading translation management system, is stepping up its business activities in the USA. To further expand the international market presence of Across, Nancy Cardone recently joined the team as Business Development Manager. Thus, Across customers in the USA will benefit from intensified customer care. Karlsbad. Two years ago, Across Systems GmbH, manufacturer of the Across Language Server, had founded the business unit Language Service Providers. Since then, special solutions, products, and training concepts have been established to help language service providers expand their business with the Across Language Server as a strategic production segment. In November, Vanessa Hirthe joined the team for the purpose of further intensifying the collaboration. Karlsbad. In many companies, Wiki-based knowledge exchange with colleagues and customers has already become standard practice. To facilitate the collaboration with international partners, an add-on for the Wiki software Confluence now enables the management of multilingual contents within a subject area, the so-called space. The Across translation management system can be connected directly for the purpose of translating the contents.